We are very grateful for your support and as such we have tried to make the giving process as flexible and as user-friendly as possible. 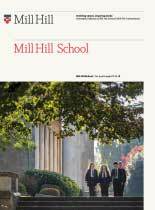 Donors can support the Mill Hill School Foundation in general or support one of our current campaigns such as ABC Bursaries or Unfolding Spaces. There may be ways of giving that you might not have previously considered such as shares or legacy giving which can be very tax-efficient. You can set up your Direct Debit here or download a donation form here. If you are a UK tax payer you can make your gift under the Gift Aid Scheme which makes your donation worth an extra 25% to the School. If you are a higher-rate tax payer you can claim tax-relief from HMRC too. Find out more here. We realise that the future is uncertain and that making a will is a significant and personal undertaking. The welfare of those closest to you will naturally come first. However, we also know that many people’s experiences of Mill Hill, Belmont or Grimsdell had a positive and permanent effect on the remainder of their lives. They feel a debt of gratitude that – due to economic fluctuations – cannot always be repaid during their lifetime. That is where legacy giving comes in. Leaving a bequest in a will enables a donor to support the Schools in a way that may not have been practical or possible whilst they had other obligations to fulfil. Giving shares and securities is highly tax efficient for the donor who can achieve large tax savings, not only on capital gains tax but on income tax as well. Find out more from HMRC here. Donors can give share certificates directly to Mill Hill or sell the shares and donate the proceeds. Alumni and parents in the US can give to Mill Hill tax-efficiently using the British Schools and Universities Foundation (BSUF) download a donor-transmittal form here. Mill Hill has received some excellent support in the past in the form of art, property and other assets. Please get in contact to discuss the item you wish to give to the School.